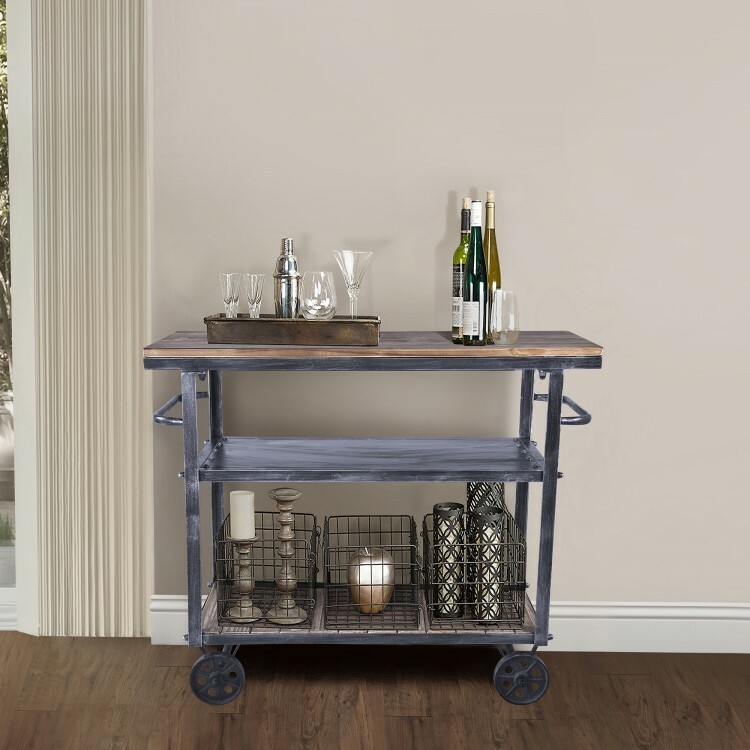 The Armen Living Reign industrial multi-purpose cart is a practical and versatile choice for the contemporary household. 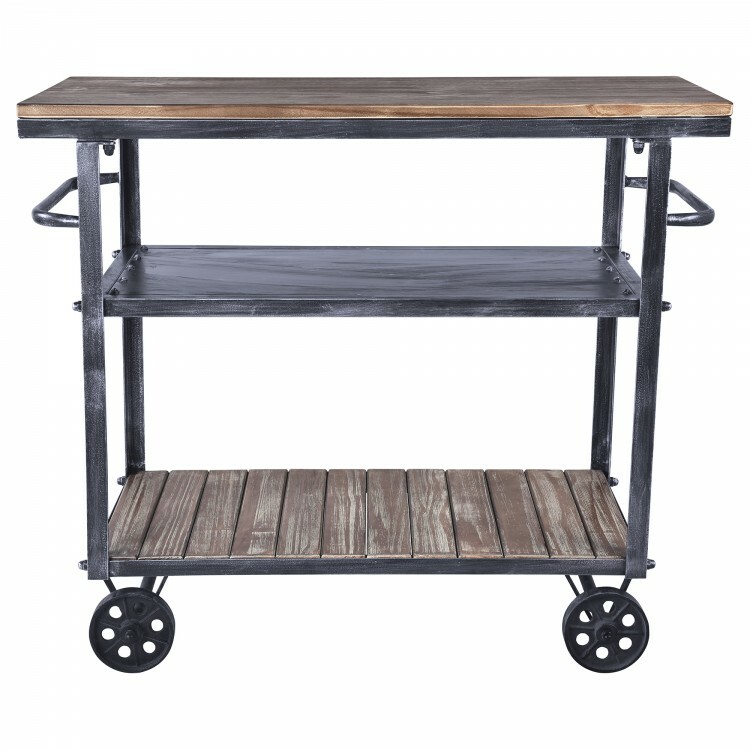 This stylized cart is made of dependable Industrial Grey finished metal accented by beautiful pine wood paneling. 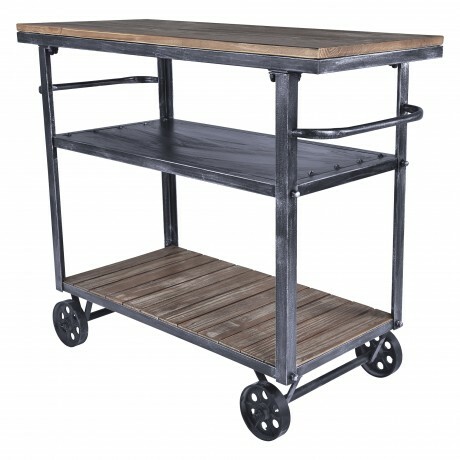 The Reign features three shallow shelves, perfect for transporting dessert at catering events or tools around the workroom. The Reign’s two handle design makes operating the cart easy, while the locking mechanism on the gliding wheels allows you to lock the cart in place if you need it to be stationary. 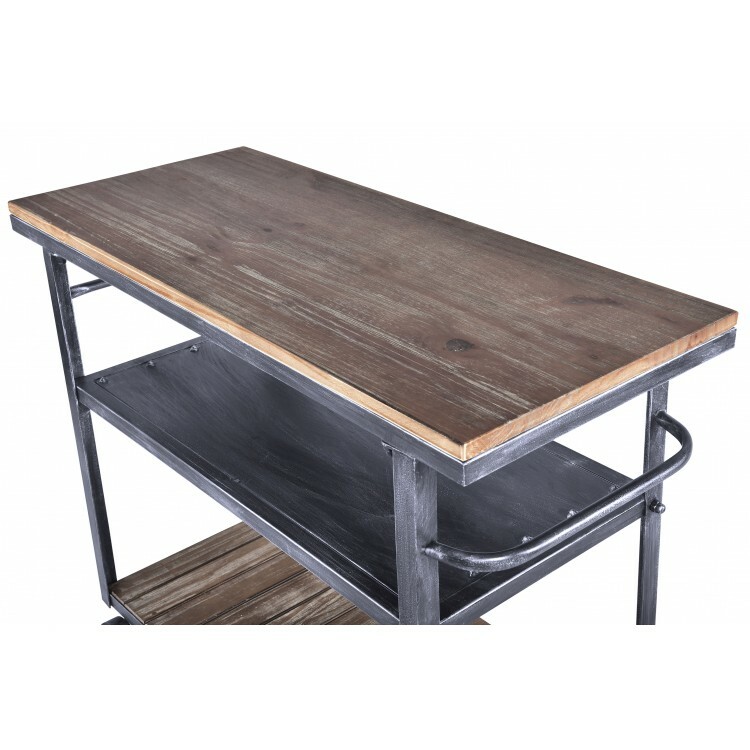 Beautifully designed and highly functional, the Reign is perfect for the modern home and lends itself to a variety of applications.